ARM has released designs for two new Mali GPU cores, including a 16-core part that should help bring higher-end capabilities like video-editing and gesture control to smartphones and tablets. The high-end chip, called the Mali-T760, is ARM’s most powerful GPU to date and will be aimed at devices priced at around $350 and above, ARM said Tuesday. 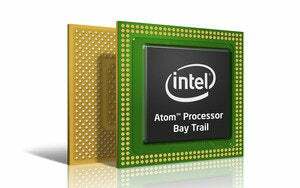 The processor design doubles the core count over its predecessor but is more energy efficient, according to ARM, thanks partly to a 50 percent reduction in the amount of bandwidth needed to move data in and out of memory. The upshot should be better graphics without reducing battery life. ARM also released the lower-end Mali-T720, its first GPU for midrange devices that supports version 3.0 of the OpenGL ES graphics programming interface. Version 3.0 is becoming a requirement for Android, and the T720 will allow makers of lower cost devices to use the latest releases of Google’s mobile OS, said Trina Watt, ARM vice president for solutions marketing. Currently, cheaper smartphones and tablets often use older versions of Android. ARM doesn’t manufacture chips itself; it creates designs that it licenses to other companies. It’s best known for its Cortex CPU designs, used in most smartphones and tablets including Apple’s iPhone and iPads. It’s less dominant in graphics, where it trails Qualcomm and Imagination Technologies. But ARM’s share of the mobile GPU market is growing and now stands at 18 percent, according to Jon Peddie Research. Mali chips are used in about half the Android tablets sold today and about a fifth of the smartphones, according to Watt. They’re used in Samsung’s Galaxy Note 3 and Google’s Nexus 10, for instance, though most Mali chips find their way into lower-cost products sold in China. In that sense the T720 may be the more significant of the two products announced, because of its potentially wider reach. Along with the new Open GL standard, it brings graphics compute capabilities to the midrange of the Mali line, allowing devices to perform tasks like facial recognition and stitching photos together into a panorama. GPUs tend to be more power efficient at those tasks than CPUs, so the T720 should help prolong battery life while freeing up the CPU to do other work. Other priorities for manufacturers are a small chip size—ARM says the T720 is 30 percent smaller in area than its predecessor—and speed to market. The extra cores on the higher-end T760 will help to enable features like video editing, gesture recognition and high resolution 4K displays on tablets, Watt said. “We’re trying to stop people having to open their PCs,” she said. If the T760 is still on the market by the time chip makers move to a more advanced manufacturing process—which will let them make smaller transistors—16 cores will be a “no brainer,” he said. To improve energy efficiency, the T760 introduces a technology called frame buffer compression, which reduces the amount of bandwidth needed to transfer data between different parts of a system on chip. Each time the GPU has to access memory it consumes power, so compressing the data and reducing its back and forth movement prolongs battery life, Loats said. The Mali-T760 is based on a new ARM GPU core called Skrymir, named after a giant in Norse mythology. ARM entered the GPU market when it bought the Norwegian chip firm Falanx, hence the Nordic theme. The cores are both available for licensing now, Watt said. It used to take around 18 months for new designs to find their way into finished products, but Watt said competitive pressure on device makers is shortening that time to less than a year in some cases.